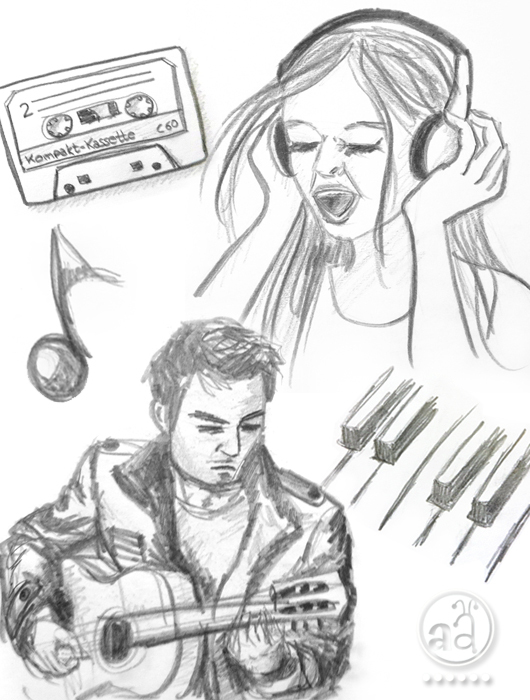 did you get to make some music related sketches this week? The hands on your guitarist and the woman with the headphones are drawn so well! YEAH, ROCK ON!! awesome sketches!!! Everything seems so 3D. Nice!